After a short break, I got back to painting yesterday with a new turkey. 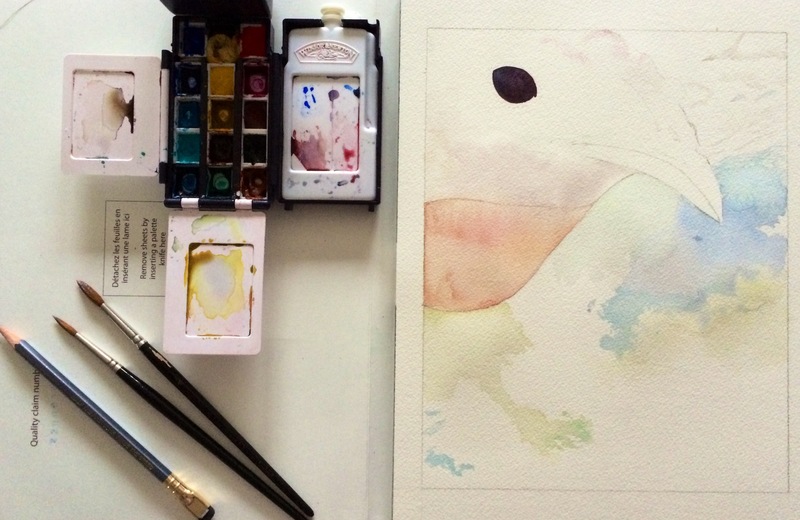 I am also trying out a few new paints: W&N Permanent Alizarin Crimson (PR 206), Sennelier Red (PR254), and Sennelier Yellow Sophie (PY93). I like the Sennelier paints a lot for their vibrancy, consistency, how easily they activate, and for the 21ml tubes, which are a great value. They won’t make up my whole palette–they don’t have some of my preferred pigments–but I have found myself checking their list first when searching for paints unless there’s a special color I need, such as W&N cerulean blue, which seems to be everyone’s favorite cerulean. I am looking forward to working more on this turkey. There are some really fascinating oddities on the beak and forehead, with some nice lighting or the face and under the chin.